We are fortunate to have prominent leaders in science and medicine serving on our Scientific Advisory Board. They help us make strides in basic science, guide our product direction, and provide clinical insight for our technology and products. Prof. Brian J. Cole, M.D. Dr. Cole is a Professor in the Department of Orthopedics with a conjoint appointment in the Department of Anatomy and Cell Biology at Rush University Medical Center in Chicago, Illinois. In 2011, he was appointed as Chairman of Surgery at Rush Oak Park Hospital. He is the Section Head of the Cartilage Research and Restoration Center at Rush University Medical Center, a multidisciplinary program specializing in the treatment of arthritis in young active patients. He also serves as the head of the Orthopedic Master's Program and trains residents and fellows in sports medicine and research. He lectures nationally and internationally, and through his basic science and clinical research has developed several innovative techniques for the treatment of shoulder, elbow and knee conditions. He has published more than 1,000 articles and has published 5 widely read textbooks in orthopedics. Dr. Cole was chosen as one of the " Best Doctors in America " each year since 2004 and as a "Top Doctor" in the Chicago Metro area each year since 2003. In 2006, he was featured as "Chicago's Top Doctor" and placed on the cover of Chicago Magazine. Dr. Cole is the team physician for the Chicago Bulls NBA Basketball team, co-team physician for the Chicago White Sox Major League Baseball team and DePaul University in Chicago. In 2009, Dr. Cole was chosen as the " NBA Team Physician of the Year ". Dr. Arbel specializes in knee and ankle surgeries including meniscus, ligaments and cartilage. Dr. Arbel performs knee joint reconstructions, osteotomies, cartilage implantation, meniscus allograft and osteochondral autografts as well as biological treatments such as PRP, Orthokine and Stem Cells. Dr. Arbel is an honorary member of Arthroscopic Association of North America (AANA) and a fellow in the ICRS as well as an international member in AAOS association. 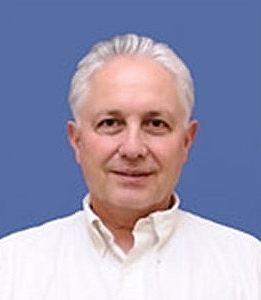 Dr. Arbel served as the president of the Israeli society of sports medicine between 2003-2009, and is currently the director of sports medicine and arthroscopic surgery in Tel Aviv Sourasky Medical Center, Tel Aviv university. Dr. Arbel earned his medical degree from Tel Aviv University. He completed residency at Sourasky Medical Center in 1983. Dr. Arbel practiced arthroscopic surgery and sports medicine in Austria, Germany, Belgium, Holland, Italy and USA (California, Mississippi and Utah).